RiDoc — the program for getting images from a scanner and reduction image files sizes. The programme provides an opportunity to reduce the size of the electronic version of documents or image files without losing information quality. Scans images, documents and fit to A4 page format of small sizes of scanned images (button «Assembly» ). Overlay watermarks on scanned images. Scanner program for daily use. 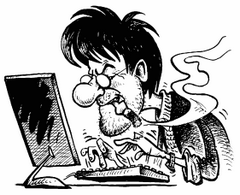 Getting the electronic version of the document from a scanner. Saving the document in different graphic format (bmp,jpeg,png). Scanning document into TIFF (multipage mode). 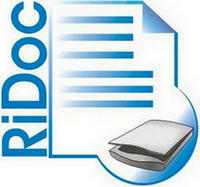 Ridoc — scanning document into Word. Ridoc — scanning document into PDF (multi-page PDF ). Scanning document into printer, email. Quickly and easily saves scanned documents on your computer with the help of technology «QuickFolder». Creating a gallery of scanned documents and images. Single mechanism to manage both electronic documents. Size: 0,11 / 23,76 MB.